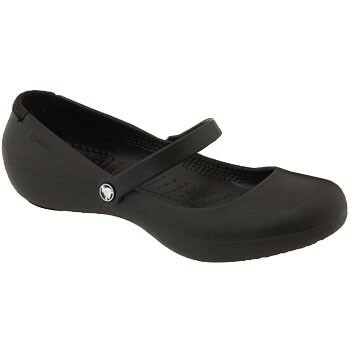 Bring cute Crocs style to work with the Crocs Alice Work. This stylish mary-jane features Crocs Lock™ certified slip resistant tread and a closed heel to meet workplace standards. These work ready features combine with the comfort features you love from Crocs, including the lightweight material and massage pod footbed with arch support. These women's shoes are also easy to clean with soap and water, so you'll look great and feel great no matter what the work day throws at you in the Crocs Alice Work flats.